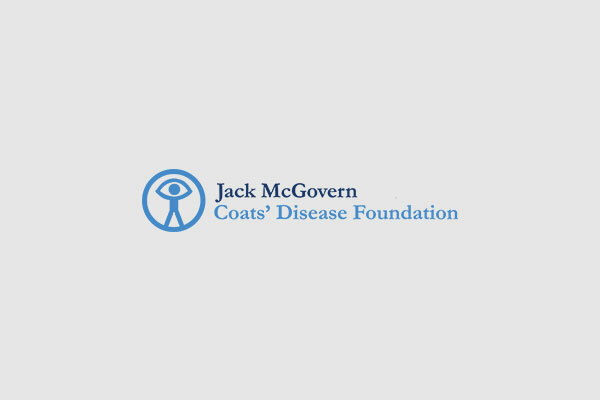 Here at the Jack McGovern Coats’ Disease foundation, we receive a lot of emails from scared parents looking for answers about their children’s diagnosis. What type of treatment is best? Is this diagnosis of Coats’ Disease correct? Could Coats’ Disease be hereditary? Well, the only answers to those questions can come from your ophthalmologist and other doctors who are knowledgeable about Coats’ Disease and your child’s case. These questions often come up and should be considered as you and your doctor decide the best approach for your child. Of course, these questions do not constitute any form of medical advice or diagnosis. Please realize that your situation or that of your child is bound to be unique in some fashion, and only the advice of your own doctor should be used in individual diagnosis and treatment. Ahead of any treatments or procedures, it is important to ask yourself and the doctor the following questions. How do you know that this is Coats’ Disease? Has your doctor treated other patients with Coats’ Disease? What Stage of Coats’ is he/she in? Will his / her vision get worse over time? Will he / she have pain? Will his / her eye start to turn out? (if so, is muscle corrective surgery an option? What is the anticipated disease progression? Is there a thorough vision exam available? What about the non-Coats’ eye? To what extent is his / her vision affected? Will we be able to use this as a baseline to measure progress / decline over time? What percent is the retina detached? Will it continue to detach? How quickly can it detach? Can you treat with laser or freezing treatments (also known as cryotherapy)? Will you be doing retinal mapping to compare progress with laser / cryotherapy? Is laser / cryotherapy always successful? What are the risks with scarring? What about alternatives such as Avastin / Lucentis, which can help prevent new blood vessel growth? Is there a risk when using these anti-VEGF’s to the rest of the body? Is shrinking of the eye something to watch? What about pain in the eye – is that something to be anticipated? If so, would that indicate a need for removal of the eye (enucleation)? What is the difference between eye pain and an eye “ache”? In his / her Non-Coats’ eye, will you watch for Astigmatism? If this isn’t Coats’ ‘now”, can we be confident it won’t be in the future? What are the cutting edge treatments on the horizon? Scleral shell to cover cataract or turning eye? Stem cells to regenerate retinal tissue? What is his / her IOP (IntraOcular Pressure)? 12-18=normal, under 9 and over 20 a concern? What can affect his IOP? How can I tell if his IOP is changing? What drops are recommended at that point? (Cosopt / Atropine / Iopdine / Generic)? Do you recommend glasses or rec specs to prevent injury to his / her non-Coats’ eye? Tinted glasses / rec specs? How often should he / she wear them? Should we restrict any sports? Trampoline? Swimming after an EUA (exam under anesthesia)? School recommendations? (Bus driver / educate staff / educate other kids / PE & recess? Sitting on the side of the classroom where he / she can see better? Closer to the front? Are there vitamins specifically for the eye? What are the benefits of patching therapy and what is the intent of patching? Should both eyes be dilated at each visit? Why? Dilating the pupils – how long does it last? Will the yellow glow in pictures go away with treatment? What other doctors / specialists do you work with? What resources do you have available for newly diagnosed patients / parents? At what age do you stop doing EUA (exam under anesthesia)? What is the purpose of an EUA and what can be done during that time? We thank our Advisory Board Member, Nancy, for her hard work in compiling these questions!